The Center for Puppetry Arts offers family fun for all ages throughout their Family Series! Kids 4 and up are invited to experience the world premiere of their original adaptation of Harold and the Purple Crayon! Children and adults alike will love the innovative adaptations of classic stories and dynamic original works by the Puppetry Center and other artists. Performances often sell out, so be sure to purchase tickets in advance! 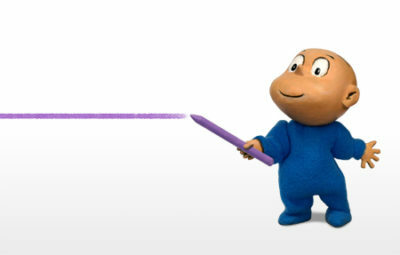 A curious young boy has the power to create anything he can imagine, simply by drawing it with his oversized purple crayon. Based on the beloved book series by Crockett Johnson, this production combines the latest in projection technology with blacklight puppetry to enable Harold to create his world live on stage – in real time. From enchanted gardens to a circus and wild ride to the moon, see where Harold and his crayon can take you! Your all-inclusive ticket includes: the live performance, Create-A-Puppet Workshop™ or To-Go Kit, and admission to the Worlds of Puppetry Museum. More information on Center for Puppetry Arts 2019 Family Series.